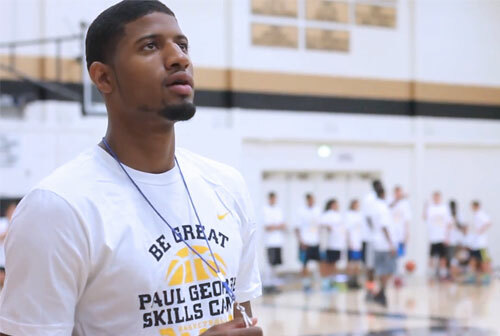 Throughout the camp Paul George will offer tips and instruction, highlighting the finer points of basketball. Campers will experience various stations specializing in fundamental basketball skills and will participate in basketball games. Campers will be placed in small groups according to age to ensure that each child gets maximum instruction. 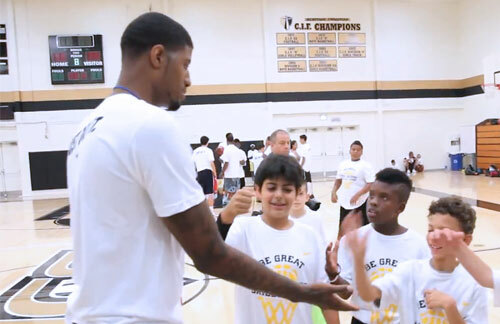 Paul George is an NBA shooting guard and small forward who currently plays for the Indiana Pacers. George was drafted by the Pacers as the 10th overall pick at the 2010 NBA Draft after playing two years with the Fresno State Bulldogs. On November 21, 2012, George connected on 9-of-13 three-pointers en route to a career-high 37 points in a victory against the New Orleans Hornets. The nine 3-pointers broke the franchise record for most 3-pointers made in a single game, surpassing Hall of Famer Reggie Miller. That same season, George was selected to play in the 2013 NBA All-Star Game in Houston for the first All-Star selection of his career. In 2013, George was selected to his first NBA All-Star Game and named the league’s Most Improved Player. For booking Paul George as your next speaker or to book Paul George for an appearance or endorsement, contact Sports Speakers 360 for booking agent details.